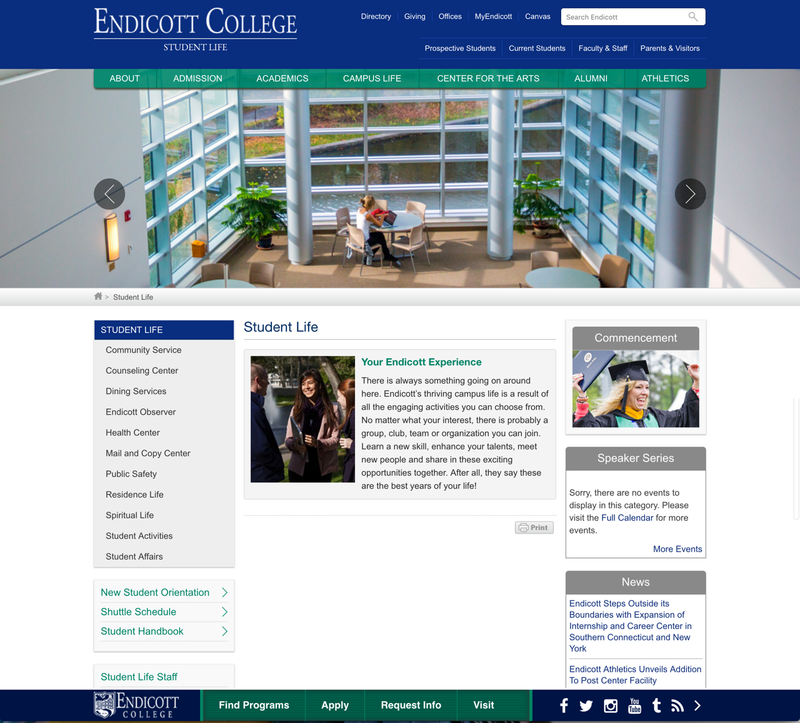 Located just north of Boston in Beverly, Massachusetts, Endicott is a small, seaside private college with a strong community and a proven experiential learning model. 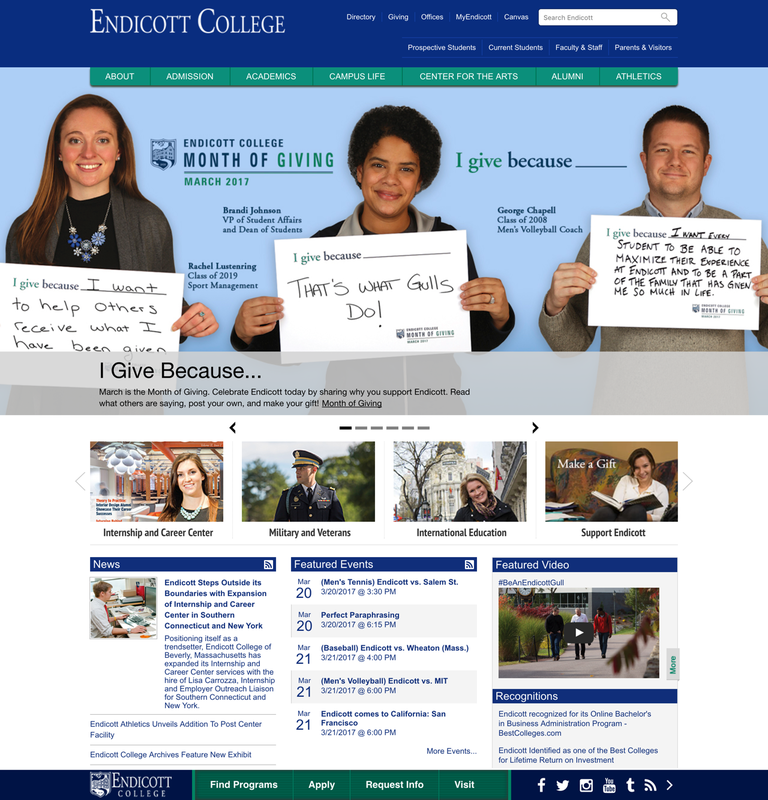 Endicott College is committed to providing an educational experience that will encourage students to view the concept of diversity from a variety of perspectives in order to foster understanding, and ultimately, greater respect and acceptance among individuals. 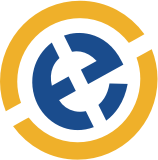 By carefully analyzing new .edu web trends, we arrived at a final product that was built on a responsive framework and geared towards enhanced navigation and user experience. 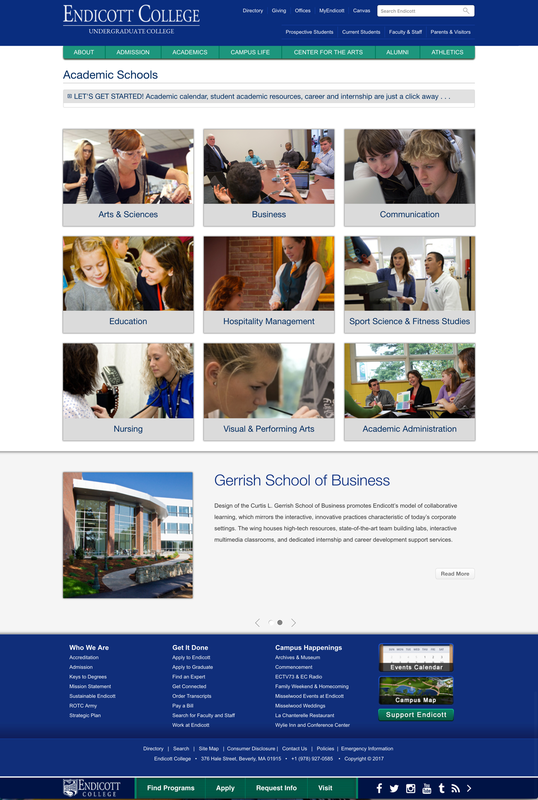 Furthermore, the website achieved a stronger visual aesthetic through a design optimized for image selection.